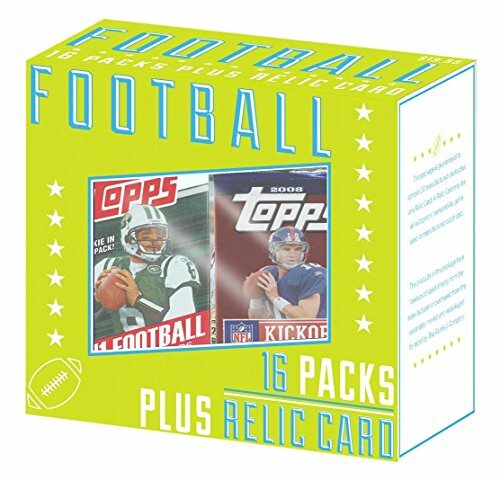 This is a great starter box for football card collectors. Each order will come with 10 random cards. Each card will be hand picked game relic cards featuring a piece of the player jersey, shoe, glove etc. Each order will contain at least 1 autograph card. 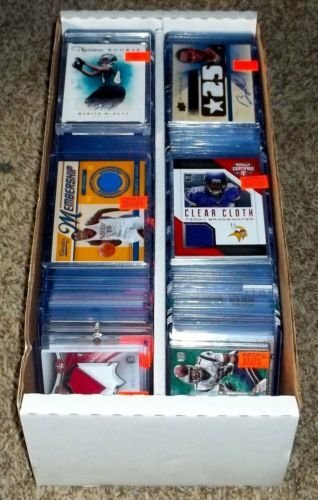 NFL Football Card Relic Jersey Autograph Hit Box w/ 300+ Cards & 3 Relic Autograph or Jersey Cards Per Box - Each Box Includes 3 Random RELIC Jersey, Football, or Autograph Cards - Box Includes NFL Rookies, Many Football Stars, & NFL Hall-of-Famers such as Marino, Aikman, Montana, Kelly, Elway, Sanders, Rice,Moon, and Emmitt Smith Ships in a New Superior Sports Investments Factory Sealed White Box - PERFECT PARTY GIFT for NFL Collector or Fanatic Football Fan ! - Every Box is Unique! 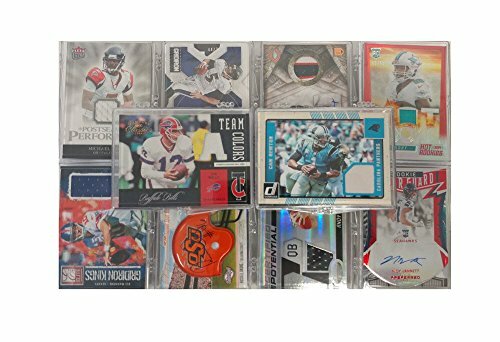 NFL Football Card Relic Game Used Jersey Autograph Hit Lot w/ 10 Relic Autograph or Jersey Cards Per Lot - Each Lot Includes 10 Random Relic Jersey Game Used or Autograph Cards - Ships same or next day - PERFECT PARTY FAVOR or GIFT for NFL Collector or Fanatic Football Fan ! - Every Lot is Unique ! 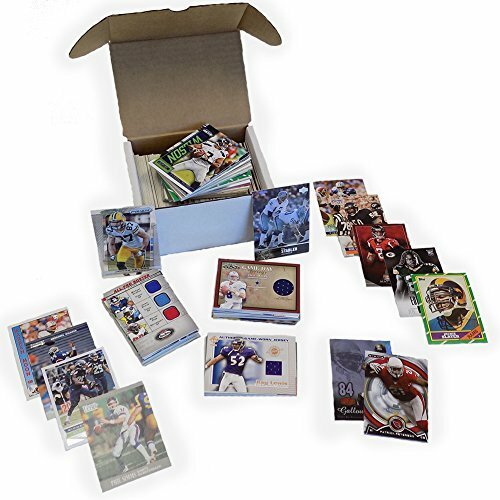 Awesome NFL trading card variety packeach Fairfield box comes with 16 random packs of playing cards.includes cards from Topps, prizm, leaf draft, prestige, score & more!guaranteed Relic card in every boxevery box is guaranteed to contain at least 1 Relic card to add to your trading card collection.this package is guaranteed to contain 16 manufactured packs plus one Relic card. 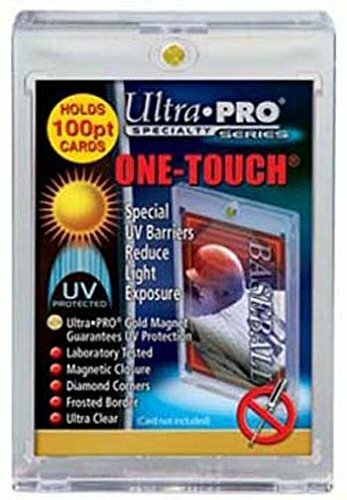 A Relic card may be an Autograph, memorabilia, game used or manufactured Patch card.the products in this package have been purchased directly from the manufacturer or purchased from the secondary market and repacked for retail by the Fairfield Company.collect them all...click add to cart and order today! Designed as the final destination for your collectible cards, our two-piece ONE-TOUCH holders are uniquely designed with slide-in hinge and magnetic closure so you'll never have to use a screwdriver again. 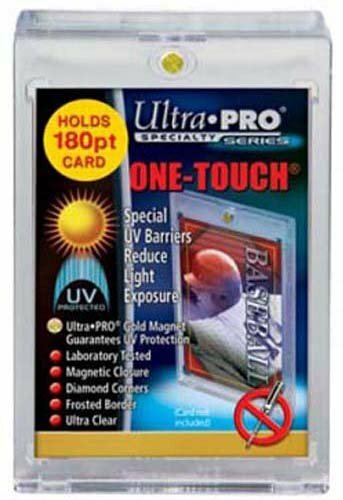 The holder provides UV-resistant, no-PVC and acid free protection to ensure your valuable hit retains its condition while under display. This model can hold standard cards (2-1/2" X 3-1/2") up to 180pt in thickness. Hanger Box Battle!!! 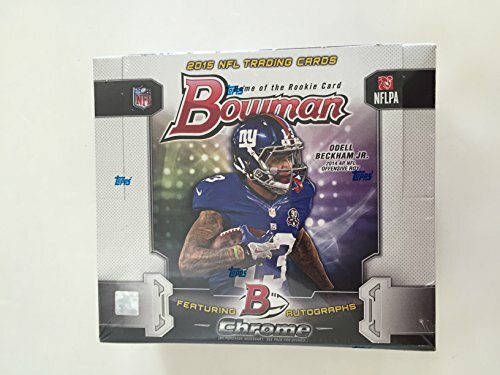 2014 vs. 2015 Topps Football - 1 Relic Card Per Box!